Need luggage storage in Boston near Logan Airport so that you can sightsee during a layover? Some airports offer storage lockers to provide a secure option for storing your bags short-term while you explore the city. But unfortunately, you won't find any luggage storage at Logan Airport. In this article, we describe pros, cons, and restrictions for each option so you can determine the best fit with your sightseeing plans. But first, just to make sure you've reached the right information . 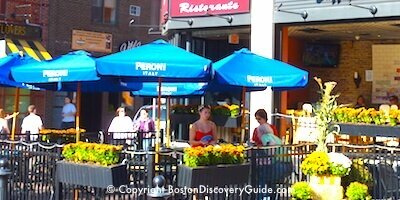 . . this article is for travelers arriving at Boston Logan Airport. If you're arriving at the Black Falcon Cruise Terminal, you can find information about luggage lockers near Boston's CruisePort here. 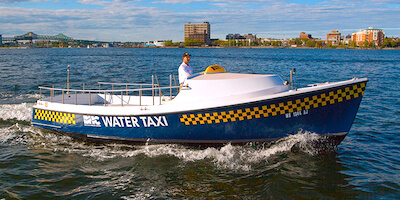 A fast, scenic way to get from Logan Airport to Downtown Boston is by water taxi - and one of them, Rowes Wharf Water Taxi, offers their passengers free Boston luggage storage in a locked room at their Rowes Wharf office, making this an excellent choice. Once you get off your flight and collect your luggage, take the free airport shuttle bus - it's the Massport Route 66 bus and goes to all terminals - to the water taxi dock. Several water taxi companies provide service, but only Rowes Wharf provides free storage - so make sure you get onto a Rowes Wharf water taxi. 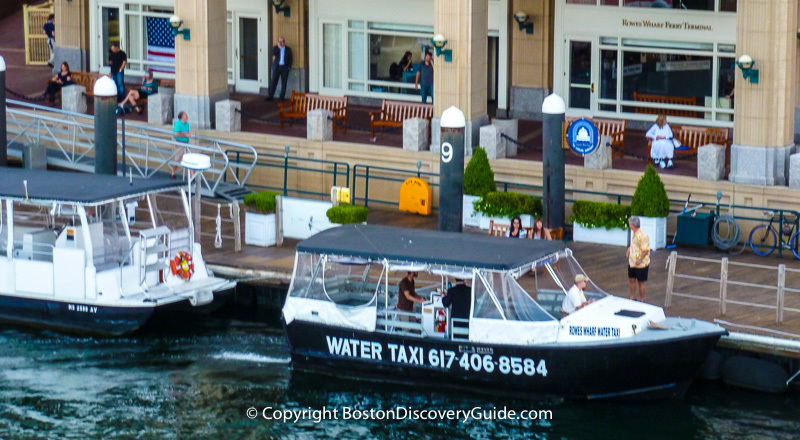 Rowes Wharf Water Taxi offers you a special airport package for $20 - they'll pick you up at the airport, take you to their wharf in downtown Boston and store your luggage for the day, and then take you back to the airport. Rowes Wharf is located next to the Boston Harbor Hotel, adjacent to the Greenway and across from the Financial District. Historic Downtown Boston, where you'll find a number of Freedom Trail sites, historic taverns, and Faneuil Hall Marketplace, is only a few blocks away and perfect for sightseeing. And don't forget, there's no need to pay full admission for your sightseeing adventures - compare Boston discount cards to find out how you can save on attractions, cruises, and events. 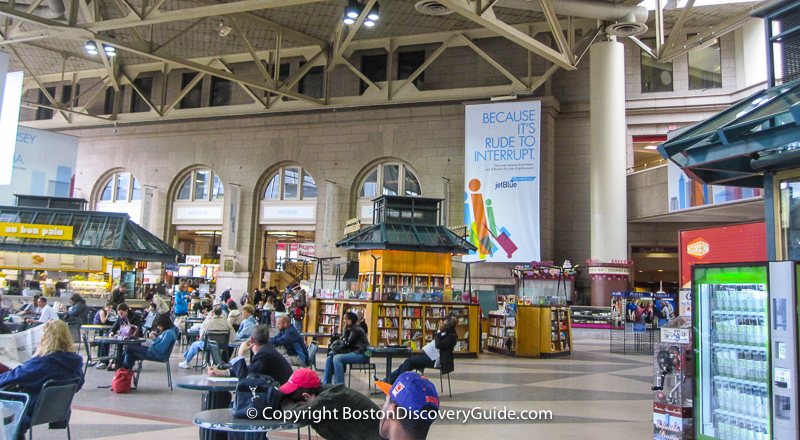 Another convenient spot where you'll find luggage storage is at South Station. There are actually 3 choices here: Greyhound Package Express, located on Level 5 (parking) of the bus terminal at South Station (700 Atlantic Ave), Teddy Ballgames, located at the top of the escalator in the waiting room, and Amtrak Baggage Room (if you have a valid Amtrak ticket). You can find more details about each of these luggage storage options here. South Station is one of Boston's major train/subway terminals, and is near the Financial District, Chinatown, and the South Boston Waterfront. 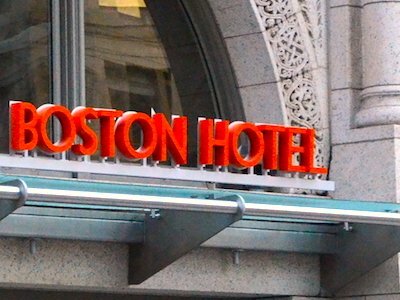 If you have frequent traveler status with any of the large hotel chains located in Boston or even right at the airport, call the hotel directly and see if they will store your bags for you for a few hours. Storage will probably be complimentary - but you may want to tip generously to show your appreciation.